By stoat on July 18, 2015.
and this leads to the exciting memo which is from a guy called Lenny Bernstein, and says things like Corporations are interested in environmental impacts only to the extent that they affect profits, either current or future. They may take what appears to be altruistic positions to improve their public image, but the assumption underlying those actions is that they will increase future profits. ExxonMobil is an interesting case in point. I think that's correct (I mean; as a description of their behaviour; though notice that statement is from a former Exxon guy and, I presume, doesn't represent Exxon's formal position). Exxon first got interested in climate change in 1981 because it was seeking to develop the Natuna gas field off Indonesia. This is an immense reserve of natural gas, but it is 70% CO2. 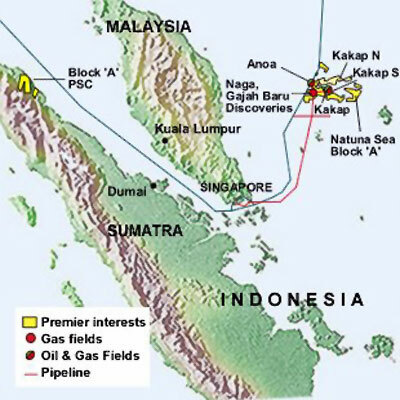 That CO2 would have to be separated to make the natural gas usable... the usual practice was to vent the CO2 to the atmosphere... if Natuna were developed and its CO2 vented to the atmosphere, it would be the largest point source of CO2 in the world and account for about 1% of projected global CO2 emissions... In the 1980s, Exxon needed to understand the potential for concerns about climate change to lead to regulation that would affect Natuna and other potential projects. They were well ahead of the rest of industry in this awareness. Other companies, such as Mobil, only became aware of the issue in 1988, when it first became a political issue. Natural resource companies ‐ oil, coal, minerals ‐ have to make investments that have lifetimes of 50‐100 years. Whatever their public stance, internally they make very careful assessments of the potential for regulation, including the scientific basis for those regulations. Exxon NEVER denied the potential for humans to impact the climate system. It did question ‐ legitimately, in my opinion ‐ the validity of some of the science... Having spent twenty years working for Exxon and ten working for Mobil, I know that much of that ethical behavior comes from a business calculation that it is cheaper in the long run to be ethical than unethical. Safety is the clearest example of this. ExxonMobil knows all too well the cost of poor safety practices. The Exxon Valdez is the most public, but far from the only, example of the high cost of unsafe operations. The value of good environmental practices are more subtle, but a facility that does a good job of controlling emission and waste is a well run facility, that is probably maximizing profit. This was spun by various, including the Graun, as Exxon knew of climate change in 1981, email says – but it funded deniers for 27 more years. A newly unearthed missive from Lenny Bernstein, a climate expert with the oil firm for 30 years, shows concerns over high presence of carbon dioxide in enormous gas field in south-east Asia factored into decision not to tap it. Anyway, the point is, I don't understand any of this. Exxon had an interest in a gas field, it would have been troublesome to exploit, partly for CO2-GW-related reasons, so they backed off. But that's not a bad thing; if anything, its a good thing. As to funding the deniers, meh, that's old news. A 1980, 50-50 venture in Natuna D-Alpha area, East Natuna, between Pertamina (Indonesia's state-owned petroleum company) and Exxon Mobil Corp of the US, didn't result in production. The 71% CO2 content made gas extraction from the huge 1.3-trillion-cubic-metre area expensive, and development difficult. Despite Exxon's $400m and Pertamina's $60m investments, the Indonesian Government terminated its contract with Exxon in 2007 leaving Pertamina in charge. East Natuna has been little explored over the last 15 years, mainly due to political disruption, its remoteness, and because discoveries such as Exxon's have proved uneconomic to develop. So it kinda looks to me as though no-one else has touched it either. So this isn't even Exxon-specific. Maybe the Sherrod Non-Scandal Will Help Put the Global Warming 'Controversy' in Context? Yes, there is hype - it's everywhere now. But I found it a useful collection, though most is pretty old. "the 1970s ice age scare (yes, it did happen, despite the attempts of some to write it out of history)"
"The question of whether a lasting increase of glaciation and permanent shift of the climatic belts results from any given one of these episodes must depend critically on the radiation available during the recovery phase of the 200-year and other, short-term fluctuations. An influence which may be expected to tip the balance rather more towards warming - and possibly inconveniently rapid warming - in the next few centuries is the increasing output of carbon dioxide and artificially generated heat by Man (MITCHELL 1972)." Reminded that CO2 is a component of natural gas widely, (71% seems high) and I have no idea what they do with it when they do decide to use the production. Is it priced to sell? There are 'natural gas ' feilds in which the gas is narly pure CO2. Before and during World War II one in New Mexico was tapped and a CO2 pipeline constructed to furnish cheap dry ice refrigeration for frozen food ships servng Allied forces in the war in the Paciifc. I don't know the present status of the fossil CO2 fields . It does make a difference whether Exxon is or was in denial or is lying. Calling someone a denier is more friendly than calling someone a liar. I did some Googling after I posted. It seems CO2 release from methane separation is small in the USA. I don't know about the rest of the world. I also found some claims that CO2 in all natural gas processing is a small percentage of total emissions. It's complicated. I don't know how much is vented in preparation of chemical absorbtives made elsewhere. I don't know about the rest of the world and whether some countries allow direct venting of CO2, or whether reinjection is just as integral (and therefore a good thing) as anywhere else. So all trash disposal expense is non useful work. I suppose the petroleum engineer deciding which production enhancement techniques to use on a field would end up with different options if someone paid him to use their junk CO2. Sort of like the city doesn't have to pay as much as landfill to get rid of bulk plastic if they pay someone to recycle it. The Gorgon LNG project (about 15% CO2) in Western Australia is reputed to be the world's largest carbon capture project. Which is actually not that impressive given the lack of large scale CCS. Natural gas from different fields is incredibly varied, and that includes CO2, He, ethane etc. Part of the art of making a profit on them is to strip out the higher value components and send the methane merrily on its way. I recall Gavin pointing out many years ago that, though the oil companies were funding disinformation about CO2 and climate change, they also employed their own climate scientists to model the paleo conditions under which sedimentary basins developed, so they could figure out where the continents had drifted while petroleum formed and salt domes and such strata were laid down over top of the stuff to hold it in place. Six impossible things before breakfast -- it's a business model. "Oil companies funding disinformation" (refer preceding comment) is a warmist mythology. Who gets such funding? Nobody, it seems. Yet the mythology of "billions" of such dollars continues. Were that it were true -- I could use some of that money. Exxon did some of the pioneering work on palaeo-sea levels in the 1970s, which work was important for predicting sedimentary environments on continental margins and so on. There is often CO2 in natural gas, especially in areas where there is or was some volcanic activity. In BC, the Horn River Basin gas is about 12% CO2 and is vented to the atmosphere without being subjected to BC's $30/tonne carbon tax, which is a disgrace. I'm with Wm in not really getting the outrage about Exxon. Yes, we know that Exxon et al funded some climate denial for years and they still to this day lobby against mitigation policies. That's deplorable, but all too well known. That a company could foresee economic risks for venting huge quantities of CO2 to the atmosphere is not surprising, whether or not there was a corporate policy that said that AGW was a real environmental risk or not. It's in the nature of sociopathic corporations to do one thing for commercial reasons while believing another for technical reasons. The opinions of individual employees (except maybe for the CEO) count for little. Anyone who has worked in a large company knows that the way to get something done (or not done) is not to appeal to ethical values, but rather to focus on the financial costs, damage to the company's reputation or exposure to liability. I believe that Heartland spread some of its largess around your corner of the planet for exactly this purpose - you must have been deaf, blind and/or alseep when they did so. Once again, Doctor Connolley, I need to pick your brains. There was an article on the IOL website. The original was once again from the Daily Fail, written by Colin Fernandez. "Hundreds of doom-laden studies about the effects of climate change on the Earth’s oceans may be flawed and unreliable, a major review has found." The article sounds dodgy, but I don't have the technical knowledge to refute it. "The article sounds dodgy, but I don’t have the technical knowledge to refute it." "The authors, commenting in Nature, say the 'overwhelming evidence' of ocean acidifiation still stands." @Mal Adapted: so basically, even though there were methodological issues with several studies, ocean acidification is genuine and needs to be addressed.